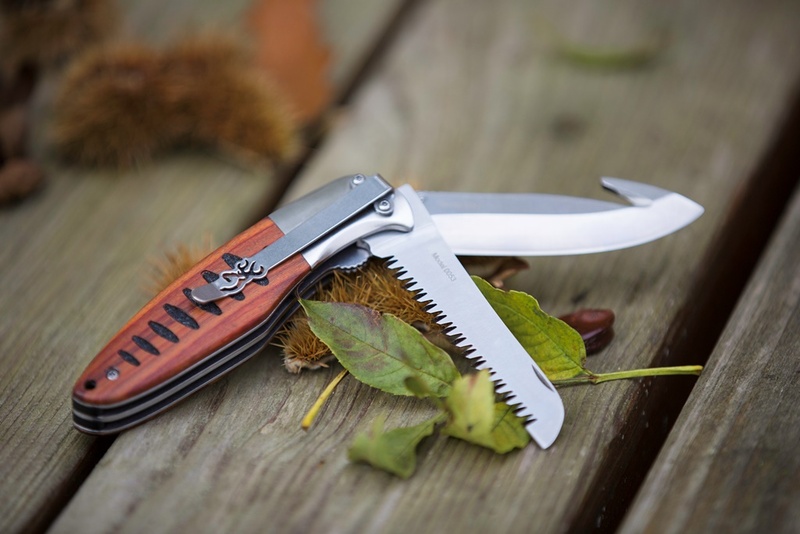 Size – something with a 3 – 4” blade works well and is light. Shape – drop point is best as the tip is tapered enough to get into small places and a hollow-ground edge is always useful. Stay away from gut hook blades as they can be counter productive when gutting a beast but are good for opening up the stomach cavity and splitting the hide when skinning. Steel – stainless speaks for itself but does not hold an edge as well as carbon steel, however hard steel when it gets blunt is harder to re-sharpen and any knife can get dull after three to four deer. Thickness – slimmer means good flexibility and easier cutting around bones and in tight places. It’s not a survival knife but a field tool! Handle – synthetic is best as it will not soak up blood etc like wood will and is easily cleaned, plus wood is harder to grip when wet. The former is simple and strong with no moving parts just a slab of steel with the handle either riveted or cast on. Folders are well suited to the job but be aware that blood and flesh can and will drop down into the mechanism and is hard to remove. The best design is one with an open top as a lot of debris will fall through and can be easily washed out. A locking mechanism is best as it will ensure rigidity in use as you don’t wnat the blade folding up under pressure! Useful are the exchange-a-blade systems that use a common handle that can accept a blade, bone saw and gut hook! It’s worth considering the edge as that does the actual cutting. A plain edge is great for general use but might not have the aggression for cutting through the sternum. A scalloped edge acts a bit like saw and makes short work of tougher areas. A combined edge 2/3rds plain and 1/3rd scalloped is an excellent compromise. A folder usually has a clothing clip so it can slide into a pocket and as the blade is stowed it’s safe. Not so a fixed blade, which must have a sheath and is generally belt-mounted. Leather is far from ideal as it will soak up blood and get contaminated and unless it’s maintained with oils etc will get dry, crack and breakdown. Also unless it has a plastic protector/liner the blade can cut it. Plastic is a much better option and materials like Kydex are ideal being virtually indestructible and easy to clean. Give a thought to the belt loop as if it breaks that’s your knife lost, also an orange handle as when you put it down you will be able to find it! A final thought; learn how to keep it sharp as it’s no good unless it is! 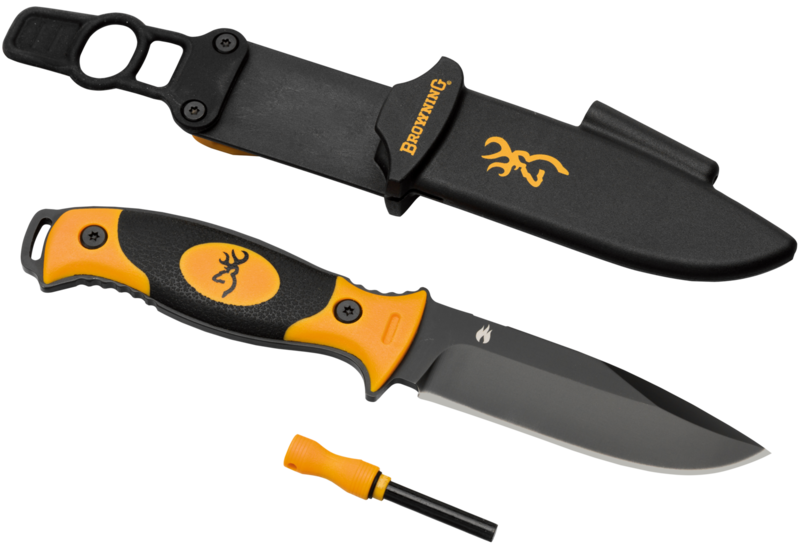 Find all Browning knives here. The Minnow is a handy piece of kit. Got the black orange version.